Quite appropriately as the weather seems to be closing in, we took delivery of our first Cotic branded mudguards today. 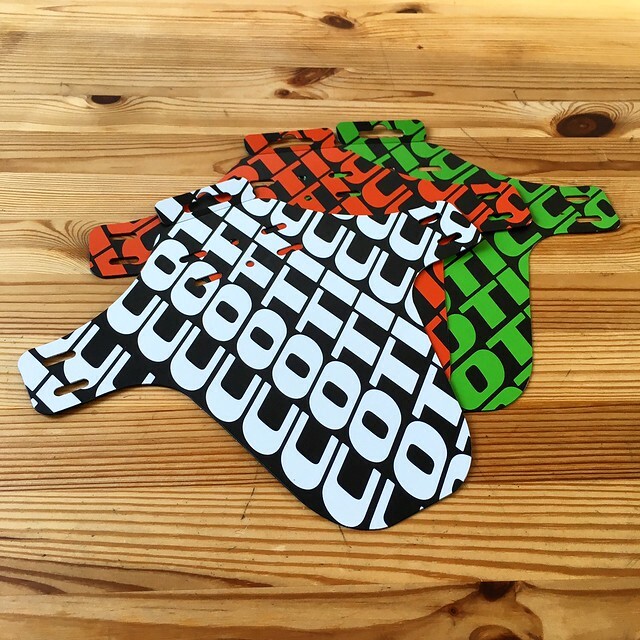 Made by our Sheffield mates 35 Bikes, they're printed with our iconic Wrap decal design, and they're colour matched to our orange and green frames, or there's a white one for matching your decals. Collar and cuffs dahlinks! We're big fans of this type of mudguard and have them on a lot of our own bikes, so when the opportunity came around to get some Cotic ones to match our bikes, obviously we had to get them done! Finally, we still have a handful of places available to ride a Rocket275 on the demo tomorrow. We have large bikes available on the 9.30 and 12.30 rides, and a medium on the 2.30 ride. Email demo@cotic.co.uk to book on. 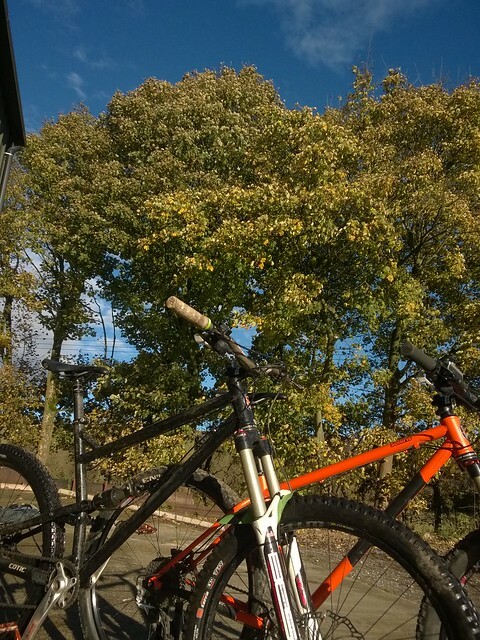 There's also someone around all day, as Paul and I tag team the rides, so if you want to come down to Calver and have a look at some frames, or just have a quick sit on the bike (we have a small Soul275 and medium Solaris built up too) then feel free. We had a couple of Soul customers come down to check the new colours In Real Life (tm) before buying. We even have biscuits! We're at Unit 9 Calver Works, S32 3XH, just off the A623 between Calver and Stony Middleton, on the Alphaweld site.